What Does Zika Really Mean For Your Family Travels? Mosquitos are annoying, mean and non-selective when it comes to their victims. While they were a pest in the past, mosquitos are now downright terrifying. These minuscule insects spread disease across the globe, most recently bringing the Zika virus to the Caribbean, Central and South America, and even Florida. Although the media has run rampant with reports of this disease over the summer, there are ways to prevent the spread of Zika and contracting Zika just like any other mosquito-born virus. According to the CDC, the Americas are a hot zone for Zika, including the U.S., but reports of non-travel related Zika have so far only been in Florida. Zika has also been found in a few islands of the South Pacific, Singapore and Cape Verde in Africa. Where can I safely travel to avoid Zika? At of the time of writing this post, Bermuda has not had any reports of Zika, so if you are looking for a safer tropical destination, Bermuda is your best bet. Hawaii is also a safe place to travel (Kauai is one of our favorite islands!). Hawaii has so far only seen travel-related Zika reports. When is the best time to travel to avoid Zika? One big thing to consider is the time of year you travel. While Costa Rica has multiple reports of Zika, they also have a dry season in the spring. 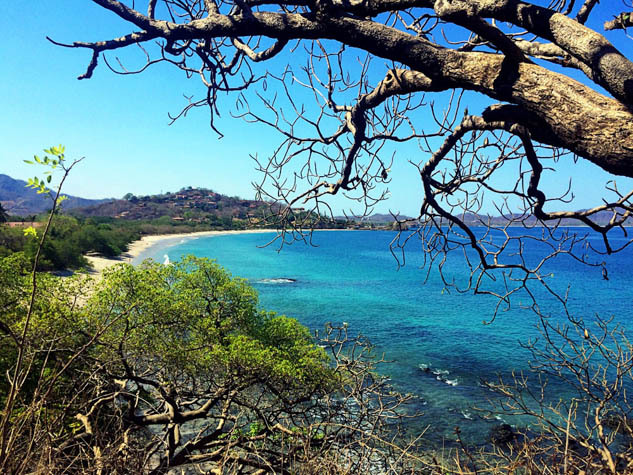 For a few blessed months per year, Costa Rica, particularly the beaches of Guanacaste, become a dry zone with very little of the lush greenery the country is known for. The mosquitos have no place to hide or wet places to thrive. Look for the dry season for the destination you want to travel to before you book your tickets. This is an easy way to avoid massive amounts of DEET and the high risk in the wet season and rainforest climates. Can I get Zika while pregnant? YES! Researchers 100% know that Zika is harmful to pregnant women and their unborn children. If you are pregnant or hope to become pregnant, it is better to postpone that trip to a Zika zone, even if you are a man. Men can transmit Zika to their partners. You may not get it, but it is always better to be safe than sorry. If you think you may have been exposed and you want to try to get pregnant, make sure you get tested first. How can you protect yourself from Zika? The easiest answer is to avoid Zika zones, but sometimes that is not always possible. When you want to hit the tropics, make sure you pack bug repellent and lightweight long sleeves and pants. Bug repellent should have a high quantity of DEET in it. This is not the time to go with natural repellants, especially if you are a mosquito magnet. Spray your clothing with a permethrin product that is safe for clothing. This will last for weeks, even through multiple rides in the washer. There is also special clothing with insect repellant built in that can be great for children. Mosquito repellant wipes are perfect for children who can’t sit still, and it doesn’t hurt to put a natural mosquito repellent bracelet or anklet on your children either. When in doubt, go overboard. Studies have not conclusively shown the long-term effects in non-pregnant women, men and children yet. Heading on a cruise? Find out more about what kind of travel insurance you need!